So you want to learn how to buy Zcash? Chances are that you want to buy ZEC because you believe in privacy coins or because you like anonymity. So, it’s important to note that all of the Zcash exchanges outlined in this guide are not actually fully anonymous. With that said, we have put A LOT of effort into only presenting you the safest and fastest ways to buy Zcash. 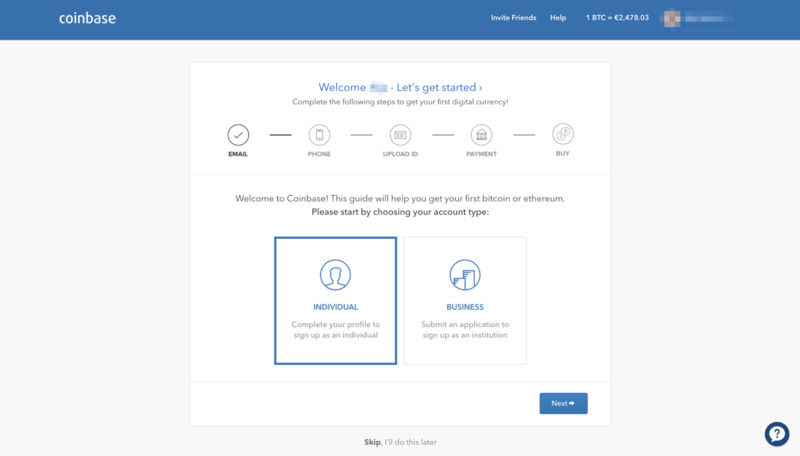 Coinbase launched back in mid-2013 and has since then always been the simplest way to buy cryptocurrency. 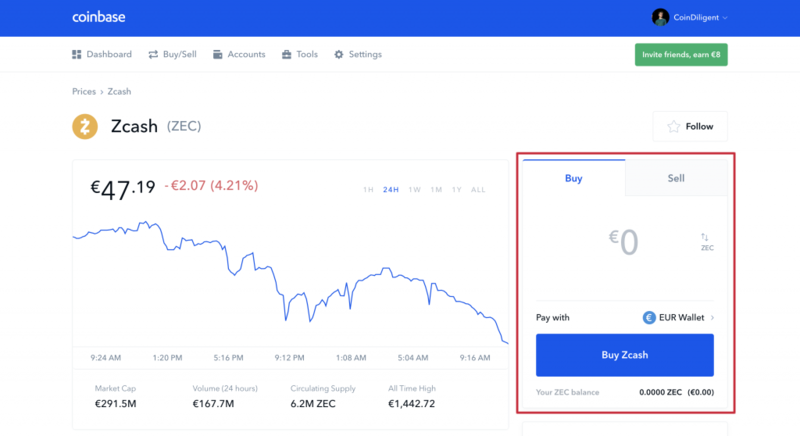 After adding Zcash to its exchange in early 2018, many people now chose to buy their first ZEC on Coinbase. 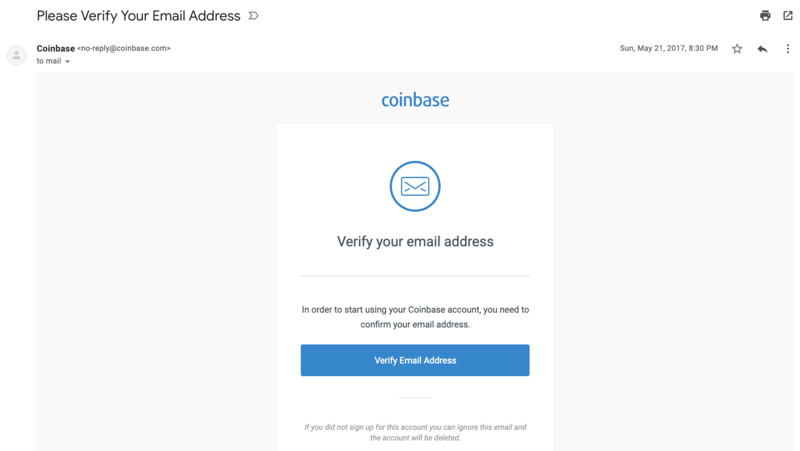 After you filled out your information and hit “CREATE ACCOUNT”, you now need to head over straight to your inbox and click on the verification email that Coinbase sent you. This is necessary to activate your account. Clicking on the verification email will bring you to a page to complete the last step in the sign-up process. This last step consists in verifying your identity. Although you can also complete this step a bit later, we recommend doing so right now since it really isn’t time consuming at all (and you will have to do it anyways before you buy Zcash on Coinbase). Again, this process is completely safe and there is nothing you need to worry about. 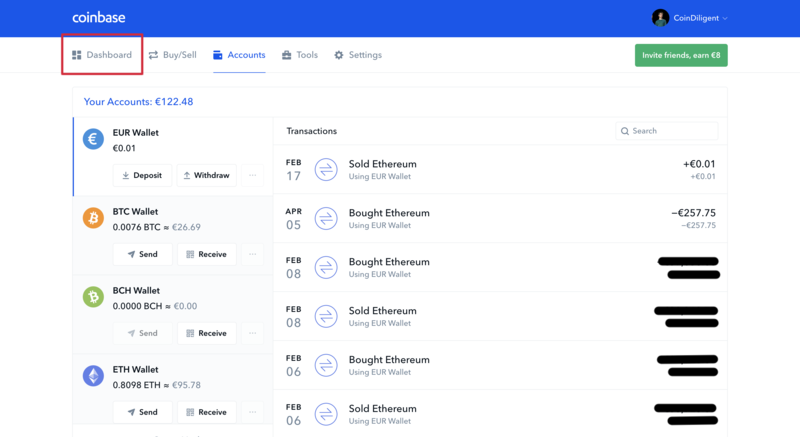 Coinbase is an exchange that is regulated in the United States and that follows the highest security standards. With that said, let’s jump to the next step! After you passed the identity verification, it’s now time to deposit USD, EUR, or GBP to buy ZEC. Please note that depending on your country of residence, bank deposits may not be available and you could only be able to buy Zcash with a credit or debit card. 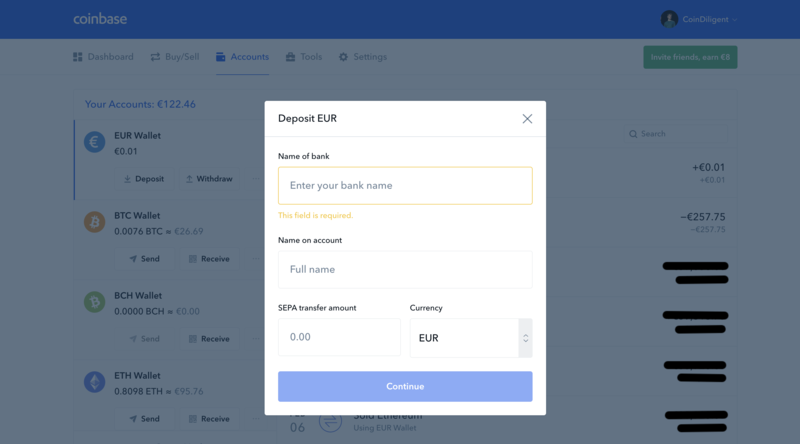 To deposit USD, EUR, or GBP, just click on the “Accounts” tab. Important: if you are looking for a way to buy Zcash with PayPal then you will be disappointed with Coinbase, since it currently does not support such option. When you clicked on the “Accounts” tab, you will land on a page showing all of the currencies that you can deposit or withdraw. Among these currencies, you will also find your traditional currency of choice. In my case, that’s EUR. Next, you have to click “Deposit” on your traditional currency of choice. Now simply fill out the required bank information and deposit the amount of USD, EUR, or GBP that you want to use to buy Zcash! Time to proceed to the final step. It can sometimes take up to 3-5 days (depending on your bank) for your USD, EUR, or GBP to arrive on Coinbase. As soon as it arrives, you’re just 3 clicks away from buying Zcash on Coinbase. All you have to do now is click on the “Dashboard” tab. Then, you have to scroll down a bit and check if Zcash is showing among your default cryptocurrencies. If not, then simply click on “Discover more assets”. 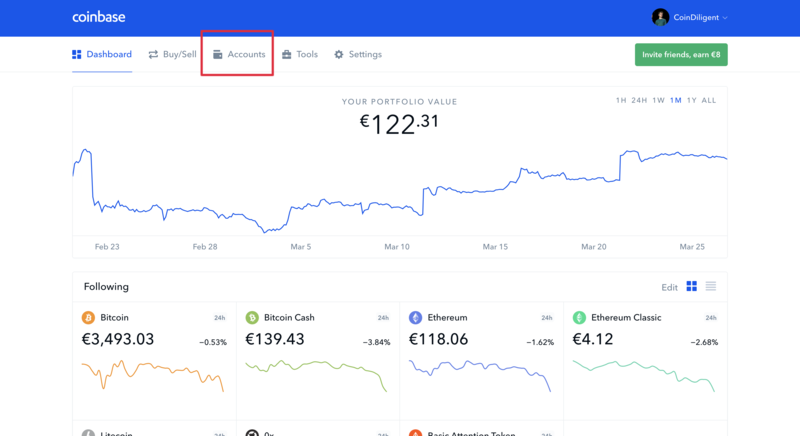 You will now be redirected to a page with all cryptocurrencies available on Coinbase. Now simply look for “Zcash” and click on the blue “Trade button”. 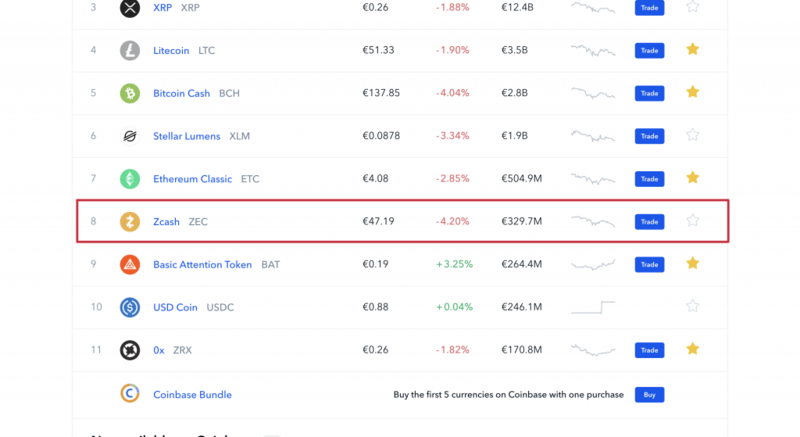 Now simply type in the amount of USD, EUR or GBP worth of Zcash than you want to buy, click “Buy Zcash”, and that’s it! Launched in Summer of 2017, Binance quickly became the largest cryptocurrency exchange in the space, with over $1 Billion USD in daily trading volume. Many investors make Binance their exchange of choice due to their extremely low fees and the huge selection of coins. The first step to buy Zcash on Binance is to create an account at the exchange. 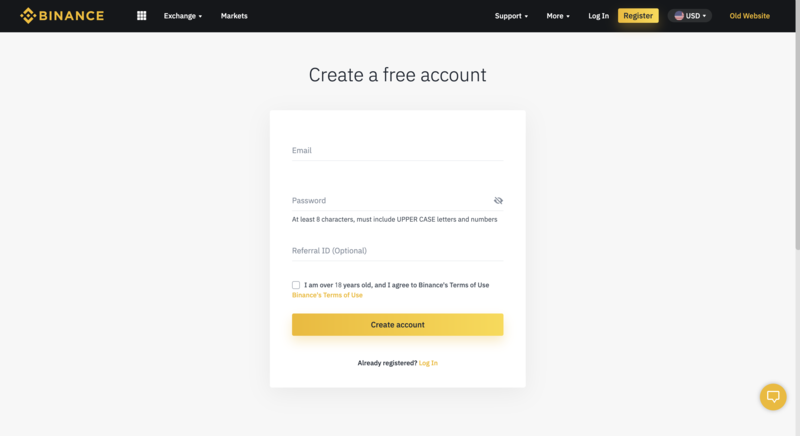 The account creation process is very simple since, on the contrary to Coinbase, Binance does not have mandatory identity verification. All you have to do is head over to the Sign Up form, and add your email address and a safe password. 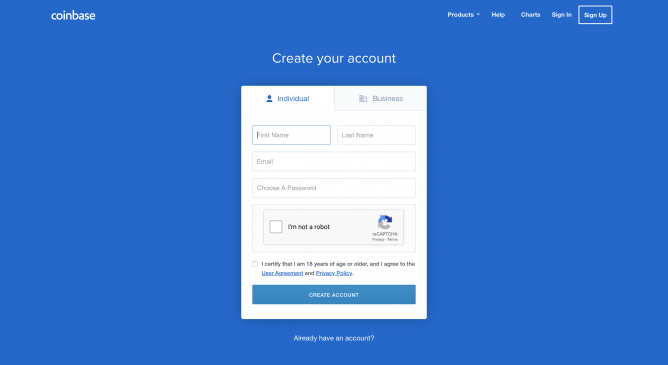 After setting a password for your account, you will receive a verification email. 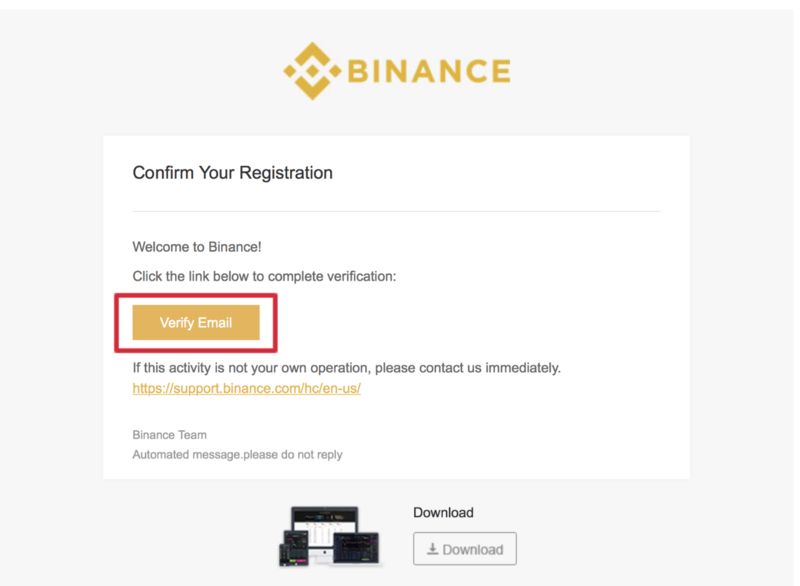 Just head over to your inbox, click on the verification email, and your Binance account is now ready! 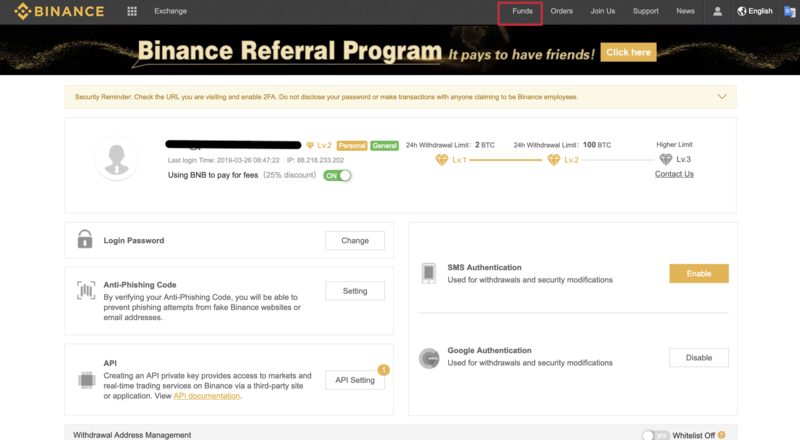 Next, you have to log into your Binance account and hover over the “Funds” tab at the top of the page. By doing so, a drop down will open with several buttons, but the one you have to click on says “Balances”. After clicking on “Balances”, you will be brought to a page that displays all of the coins that you can deposit or withdraw on Binance. Now, simply search for “Bitcoin” or “Ethereum” (it’s up to you which of the two you want to use to buy Zcash), and click on “Deposit” to deposit your coins. You will them use Bitcoin or Ethereum (whichever you deposited) to buy Zcash. Important: Although Binance has recently started accepting credit cards, it currently does not enable users to buy Zcash with credit card. At the time of writing, only BTC, ETH, XRP, LTC, and BCH can be bought with credit card. Binance usually processes Ethereum transactions in less than 10 minutes, and Bitcoin transactions in less than 1 hour. However, you may have to wait a bit longer than that if the networks are currently congested. 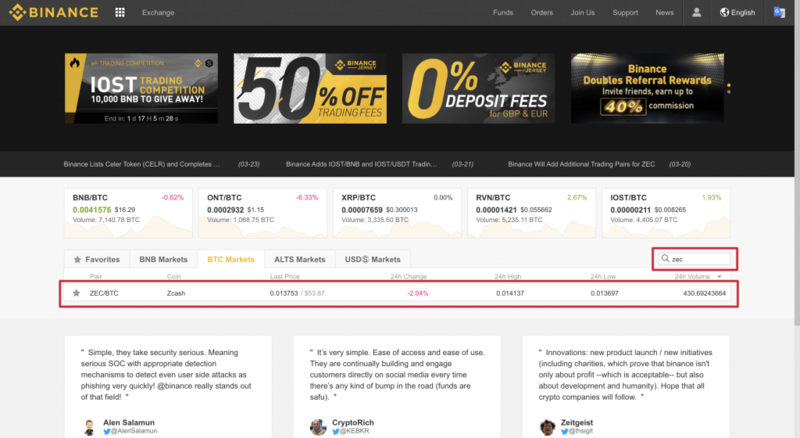 After your Bitcoin or Ethereum arrives on Binance, you now have to go back to the homepage of Binance and look for the Zcash trading pair that you want to use. If you want to buy Zcash with Bitcoin, then you would look for ZEC/BTC. If, on the other hand, you want to buy Zcash with Ethereum, then you would look for ZEC/ETH. After you found your trading pair and you click on it, you will see the following page and you will have arrived at the final step. All you have to do now is simply type in the price at which you want to buy Zcash, add the amount of Zcash you want to buy, and click “BUY ZEC”. Congratulations, you now know how to buy Zcash on Binance! Although we found the two options above to be the best Zcash exchanges, ZEC is also listed on many more cryptocurrency exchanges. We can’t cover all of them in this guide but we have briefly reviewed some of the most popular options. Launched in 2013, singapore-based Huobi is one of the largest asian altcoin exchanges out there. 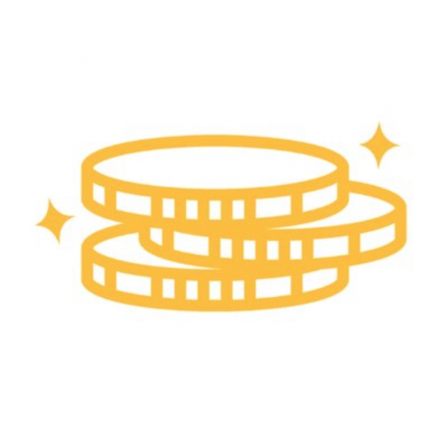 The exchange is known for offering over 190 trading pairs, where Zcash is one of them. 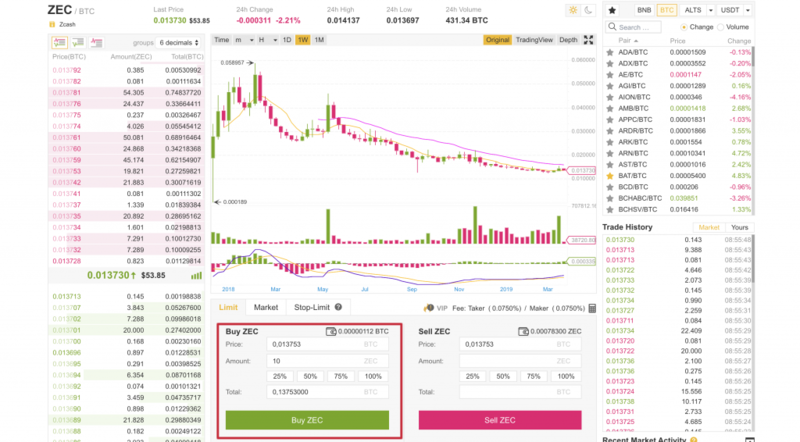 The process of buying Zcash on Huobi is comparable to Binance, since both exchanges are structured in a similar layout. However, as a regulated exchange, Huobi has the additional friction point that it requires every user to verify their identity. Launched in 2011, Kraken is one of the oldest and most established Bitcoin exchanges in the industry. The exchange is known for its high security standards and its highly sophisticated trading engine. Buying Zcash on Kraken is simple. All you have to do is create an account, pass a simple identity verification process, and deposit BTC or EUR which you will then use to buy ZEC. Bitfinex was at one point the largest Bitcoin exchange in the space. However, it lost its trone likely due to the countless scandals that the exchange was involved in. Like the controversies surrounding its stablecoin “USDT” and a hack that occured back in 2016. That said, controversies aside, Bitfinex has a lot to offer. The exchange is known for its world-class trading engine and relaxed KYC requirements. 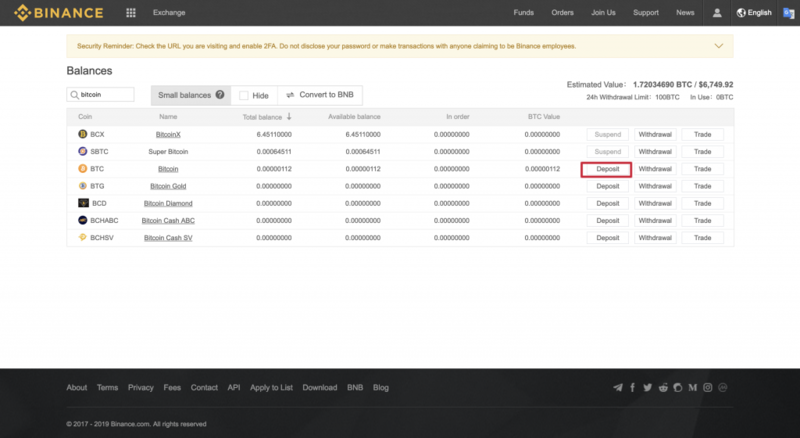 To buy ZEC on Bitfinex, all you have to do is sign-up, verify your email, and deposit some BTC. You won’t have to verify your identity unless you want to buy Zcash with USD. HitBTC markets itself as the most advanced Bitcoin exchange, but it seem like many of its users agree. Social media is full of reports of users that had their accounts frozen or withdrawals blocked, and that it took weeks until the funds were recovered. 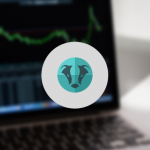 Many people still use the exchange due to the vast number of altcoins that the exchange has to offer and due to its soft KYC policy. However, we recommend you to be very cautious when buying ZEC on HitBTC and recommend you to use the other options mentioned in this guide. Zcash is a privacy coin launched in 2016 that has pioneered a breakthrough in cryptography called Zero Knowledge Cryptography, also known as zk-SNARKS. This technology enables a privacy by choice approach, where users can decide themselves if they want a particular transaction to be anonymous or not. A privacy by choice functionality is valuable for users because on-chain privacy preserving transactions are expensive, and not all users need full anonymity at all times. Many see this as an advantage to other privacy coins like Monero, which implemented privacy by default and where all users have to pay the elevated transaction fees that come with anonymous on-chain transactions. Although Zcash has some similarities to Bitcoin, like the fact that it uses Proof of Work (PoW) to secure the network, it’s monetary policy has a key difference. Zcash has hardcoded a function into its protocol called the “founders reward”. In the founders reward, 20% of all block rewards are being distributed to the Zcash foundation and its founding team. 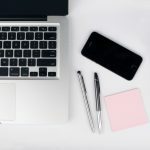 The reasoning behind this is that this funding enables the founding team to continue working on the protocol and making improvements to it in the long-term. Just like in Bitcoin’s first 4 years of existence, Zcash currently has an inflation of approximately 60% per year. This is a significant supply increase and likely a major factor that has caused the ZEC price to be on a constant decline ever since its inception. However, one event that could stop the devastating effects of inflation on ZEC is the Zcash halving in 2020. The halving will reduce the yearly inflation of ZEC by 50%, which could be a significant fundamental catalyst for the ZEC price. Based on historic data from Bitcoin, every halving BTC has experienced caused at least a 5,000% price increase shortly after. Could Zcash follow the same pattern? Only time will tell. Where should you buy Zcash? What is the best Zcash wallet? After you bought Zcash, it’s important that you also know how to store your ZEC safely. Otherwise, you take the risk of getting your coins stolen. There are two ways for you to store your ZCash: hardware wallets and regular wallets. If you want to store your Zcash on a hardware wallet, then the best option is to get a Ledger or a Trezor. If, on the other hand, you want to store your Zcash on a regular wallet, then the best options for you are Guarda and Jaxx. Zcash was founded in 2016 by Zooko Wilcox-O’Hearn in an effort to offer privacy features that Bitcoin has so far failed to implement.